Rev. 20:4 And I saw the souls of those who had been beheaded because of their testimony about Jesus and because of the word of God. This week we have seen a glimpse of the world after the rapture. 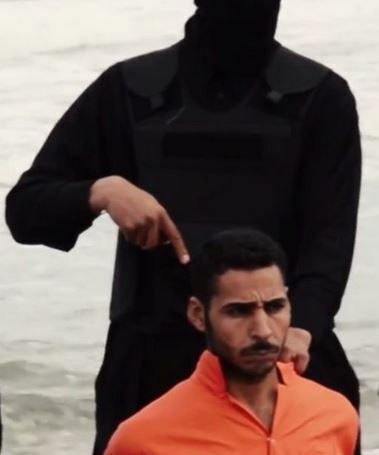 The Isis beheading of Christian men shows their hatred toward Christian believers. It evil will spread because I believe the time of the anti-Christ and anti-Christian hatred are on the rise. 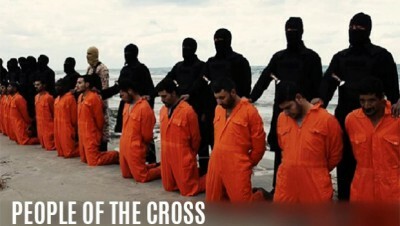 Let us stand strong in our beliefs as we pray for christian who are suffering for their faith. Let us look forward to the rapture and Christ’s reign after the time of tribulation. 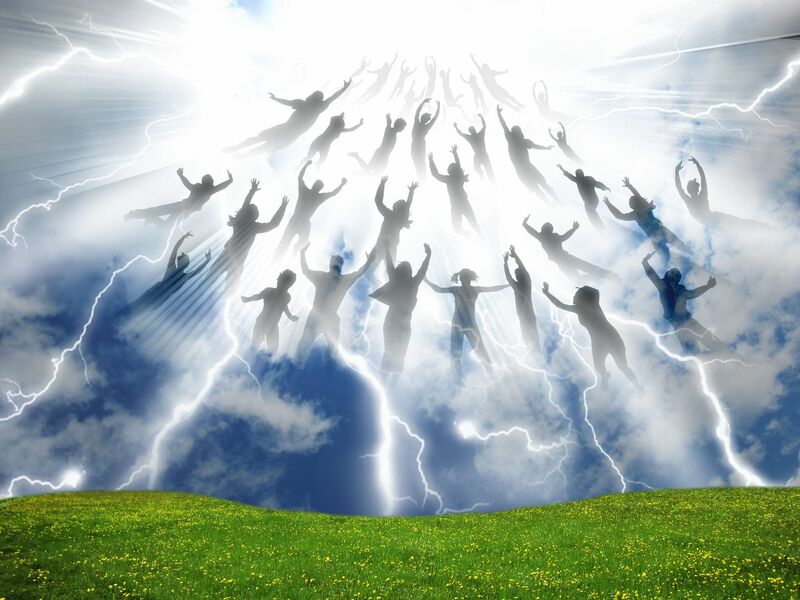 In my grandmother’s house there was a picture similar to this one showing a visual of the rapture of the church. The book of Revelation describes the world after Christian have been raptured and during the tribulation period. While there seems to be a calming to the world’s problems it is really a time where the world sells it’s soul to the demonic leaders and an intense hatred for all those who have become followers of Christ since the rapture. After the rapture there will be many who find the truth of Christ and believe He is the Son of God. But the time of the church will be over. Those who follow Christ will be hated, hunted and killed for their testimony. Revelation 20:4 records John’s vision “ I saw thrones on which were seated those who had been given authority to judge. And I saw the souls of those who had been beheaded because of their testimony about Jesus and because of the word of God. They had not worshiped the beast or its image and had not received its mark on their foreheads or their hands. They came to life and reigned with Christ a thousand years”. 2 Thessalonians 2:1-6 speaks of the Lawless One who will deceive the world after the rapture. He will try and destroy all new Christians and Israel. He does not have full power to deceive until the church is taken out of this world by the rapture. v7-10 For the secret power of lawlessness is already at work; but the one who now holds it back will continue to do so till he [Holy Spirit led churches] is taken out [RAPTURE] of the way. And then the lawless one will be revealed,whom the Lord Jesus will overthrow with the breath of his mouth and destroy by the splendor of his coming 9 The coming of the lawless one will be in accordance with how Satan works. He will use all sorts of displays of power through signs and wonders that serve the lie, and all the ways that wickedness deceives those who are perishing. Eternity with Christ is our reward. No lawless force can take Christ from you. Live with your eye’s in the word and your faith in Christ and you will forever have LIGHT-N-SIDE.